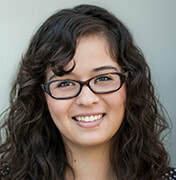 Wendy Ochoa researches English language learners' literacy and vocabulary development, and the relation between home environment and literacy skills. Human Development in Context (HDiC) focuses on cognitive and socio-emotional development as it takes place in a wide range of contexts across the lifespan. Drawing on education, cognitive science, neuroscience, developmental psychology, and anthropology perspectives, faculty and students conduct lab experiments, engage in field-based studies, and use longitudinal data sets to examine human development in a wide range of areas, including language and literacy, mathematical thinking, motivation, memory, and other cognitive processes, as well as social relationships with peers, teachers, and parents. Research in this area contributes to building theory on human development across the lifespan and intervention efforts, as well as understanding how particular settings such as schools, homes, communities, media & technology, and afterschool programs influence individual developmental trajectories. This specialization focuses on the numerous and varied people, places, and activities that contribute to human development. The influences of culture, institutions, and social interactions are stressed, with a focus on families, schools, peers, out-of-school settings, and media and technology. We take an interdisciplinary approach to understand learning and development across the lifespan with the overall goal to maximize human potential for all. We investigate underlying cognitive and neural mechanisms and processes of learning as well as moderators of learning outcomes of educational interventions using methods that are informed by various disciplines such as psychology, neuroscience and education, and we also study the potential implications for instructional design and classroom learning. Our work on early childhood combines an interdisciplinary approach to the study of human development with a focus on the policies that affect young children. We use a variety of methods such as lab experiments, field-based studies, longitudinal data sets, and policy evaluations to examine early childhood socio-emotional, physical, and cognitive development. Our approach to early childhood is broad, and encompasses research, practice and policies addressing educational programs such as pre-K, Head Start and Early Head Start, but also less formal child care settings and parenting programs. Inquiry in this area seeks to understand individual processes and practices for learning language and literacy. This specialization considers how language and literacy develop in formal (school-based) and informal settings. Of particular interest is the development of innovative approaches to support all students including nonnative speakers of English or those from disadvantaged backgrounds. Understanding individual and group differences in people’s achievement, motivation, and engagement is key to developing successful programs for people of all ages. The faculty associated with this specialization study all aspects of achievement and motivation, including developmental processes, influences on development and enactment of motivational systems, and their consequences on individuals across time and context. We study the role of families, peers, schools, and other organized contexts in shaping and supporting individuals' engagement and behavior in school, out of school, and work. We also study the role of culture, sociopolitical and historical context, and both personal and social identities in the development and enactment of behaviors related to well-being and achievement. The Individuals with Disabilities Education Act (IDEA) ensures that all children with disabilities are entitled to receive education individualized to their address their unique needs to prepare them for further education, employment, and independent living. The Special Education specialization seeks to further these goals by developing a deeper understanding of the needs of students with disabilities (such as language impairments, learning disabilities, or deficits in executive function); determining more equitable ways of assessing and identifying students with disabilities, and developing evidenced-based interventions for students. Our faculty examine the relationships among poverty, linguistic diversity, and special education, and how to best meet the needs of children from under-served populations. Recognizing the important role that science, technology, engineering, and mathematics (STEM) education plays for individuals and society, faculty in this area are concerned with the nature of teaching and learning in STEM and ways to improve educational opportunity in STEM disciplines. Faculty draw on psychological, sociocultural, and learning sciences perspectives to study STEM teaching and learning.